The midterm elections on Nov. 6 resulted in a shift in the balance of bipartisan representation in the United States Congress with Democrats winning the House majority and Republicans gaining seats in the Senate. In addition to this shift, these midterms also resulted in a number of historic firsts for the country. A record number of women won seats in the House, including the first Native American and Muslim women to be elected into congress. A handful of states had women elected for the first time in their history, and the Colorado Democratic Rep. Jared Polis is the first openly gay man elected as governor, according to CNN. In Pennsylvania, the incumbent Democratic Governor Tom Wolf won by a margin of roughly 17 percent. Similarly, the Senate race fell to the Democratic Sen. Bob Casey. In the seventh district, of which Easton is a part of, there was the key race between Republican Rep. Marty Nothstein and Democratic Rep. Susan Wild. This race was won by Wild at a margin of 10 percent, successfully flipping the seat, according to CNN News. In the nation “the democrats and Trump both won, and they both lost,” government and law professor John Kincaid said. Trump won in the sense that republicans increased their majority in the Senate on a more substantial level than expected, Kincaid said. On the other hand, Trump lost control of the House leading to potential gridlock for the next two years. Democrats gaining the House put them in a position to block a lot of President Trump’s agenda, according to Kincaid. In particular, it will be difficult to get bills through the White House with democrats controlling the house. However, Kincaid added, this election does not come close to recovering the 65 seats lost during Obama years. President of College Democrats Daniel Markovits ’20 agrees that it was never viable for the democrats to gain control of the senate. “There were a couple of seats we lost that we were hoping to win.” Markovits said. He believes that the democrats are still in range to gain majority in 2020. Charles Nutaitis ’20, Vice President of College Republicans, agrees that it was unlikely for the democrats to take the senate. However, with democrats in control of the house there will be a change in the system compared to the past two years. He said that this will benefit both sides of the spectrum as they will both appear more bipartisan. Pennsylvania is a key swing state in most elections and this year’s midterm was no exception. Kincaid said he was not surprised by the outcomes in the seventh district or at the state level, saying that the races were all fairly predictable. “Susan Wild, our local candidate won resoundingly,” Markovits added. “And with extra turnout from the college apparently.” The college democrats have yet to get exact numbers on this surplus, but Markovits said they believe the turnout on College Hill was quite high for these midterms. 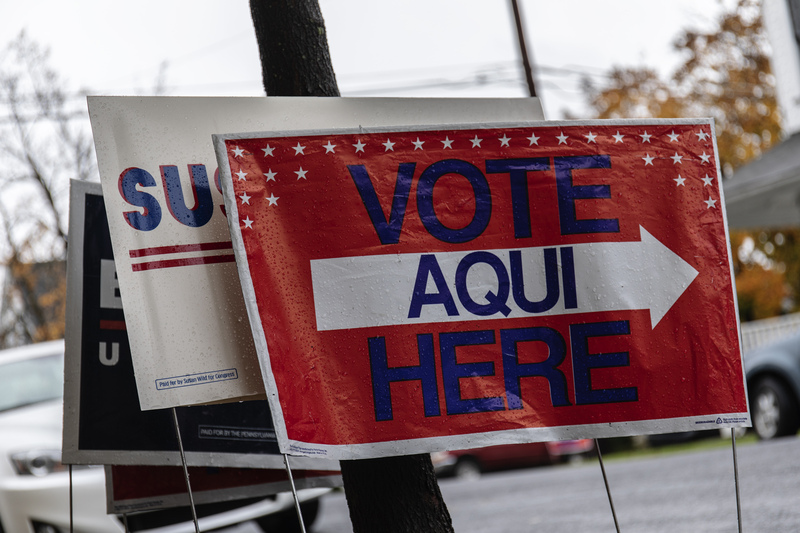 “[According to] anecdotal reports and from the chairman of the Northampton County Democrats, the turnout was probably a midterm high on campus,” Markovits added. Markovits said he believes that for this election, unlike in the past, students truly felt that their vote mattered and that their opinion could lead to a change in the local representative elected, and that this one seat could in turn affect the whole of the federal government. Preliminary results from ABC exit polls suggest that voters ages 18 to 29 will make up 13 percent of the overall electorate in this year’s midterms, up from 11 percent in 2014. On top of that, more than 3.3 million voters from that age group cast their votes early, an 188 percent increase from 2014. As for President Trump’s reelection in two years, Kincaid said he does not believe that the results of the midterm elections reflect neither positively or negatively on his reelection chances. Despite the political tension among parties at the moment, it is clear that these elections were not a definite win for anyone. With upheaval in the White House, Kincaid said the country is likely to see an increase in investigations between both parties. “Should be a fun couple of years,” he added.